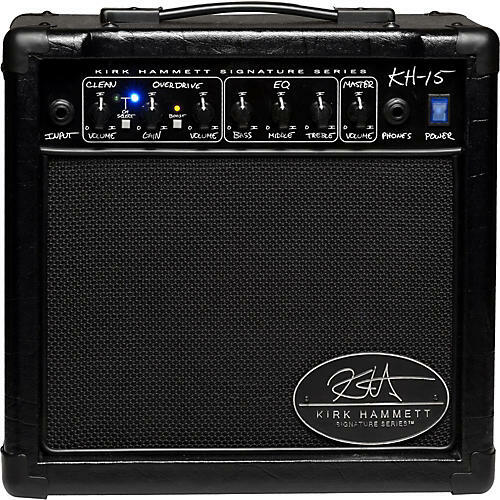 The Kirk Hammett Signature KH15 is a guitar practice amplifier that is both powerful and portable. The combo amp includes 2 channels: clean and overdrive, with a high-gain boost mode. Use this signature Kirk Hammet combo as a great practice amp or for shredding around your house. 2 year warranty on speakers. Nontransferable 5 year warranty. Check with manufacturer for specific product warranty. Tube amplifiers receive 90 day warranty on tubes.